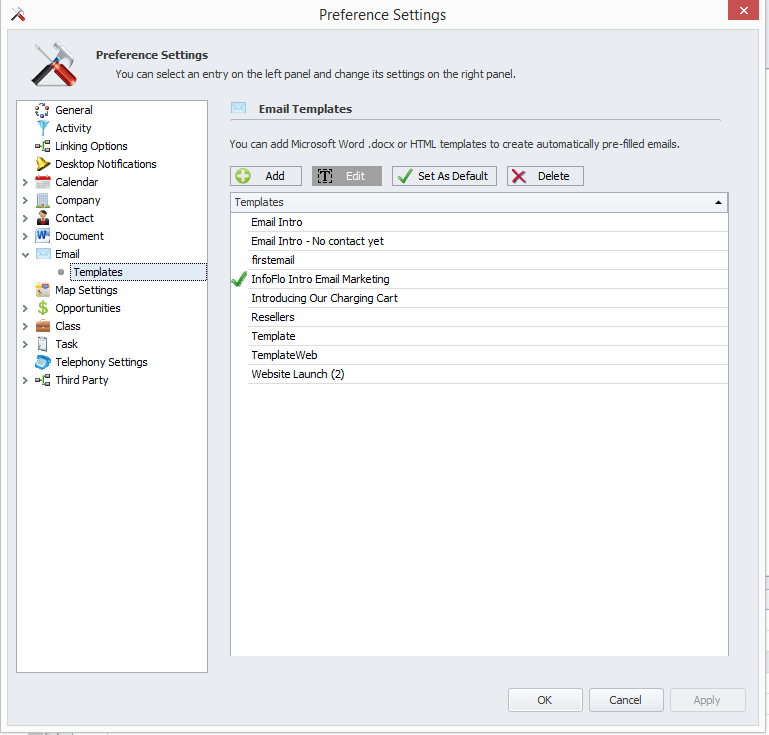 Select 'Email' from the left navigation tree, select the 'Templates' tab and click 'Add' to add a new template. 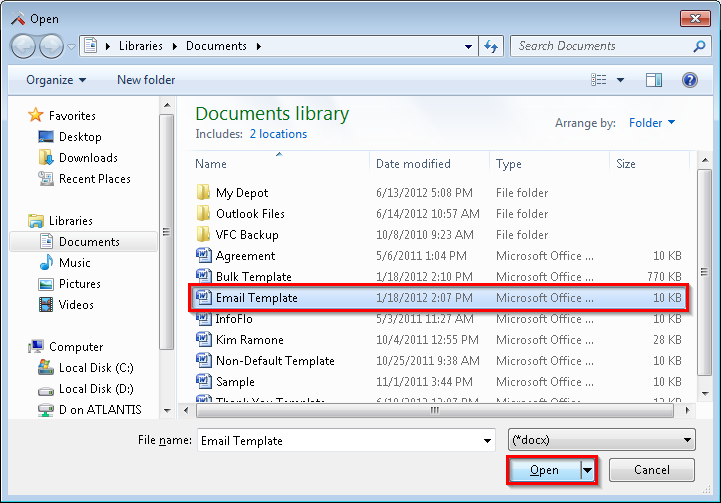 Select the Word Document that you would like to use as your email template and click 'Open' to continue. Your email template has been added. Click 'Apply' to apply the changes or 'OK' to apply the changes and close the window. 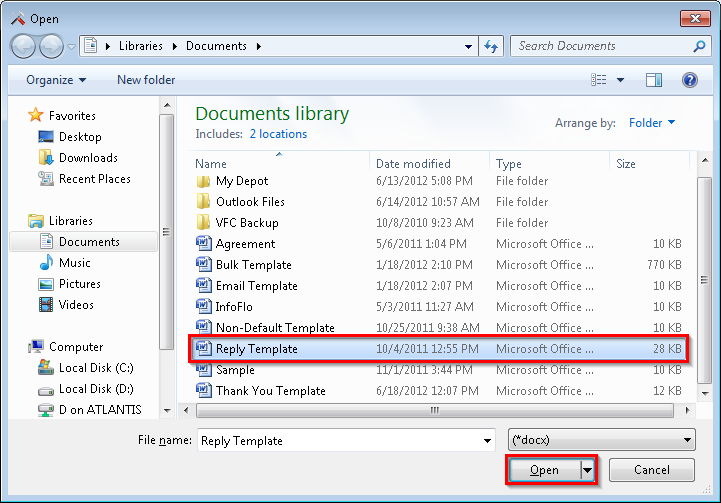 To add another template, click 'Add' once again from the Email Templates tab. This time we will select a different email template. Click 'Open' to continue. Select the new template and click 'Set as Default' to make it the new default email template. Note that the Default indicator check mark has moved from the old template to the new template. Click 'Apply' to apply the changes or 'OK' to apply the changes and close the window. 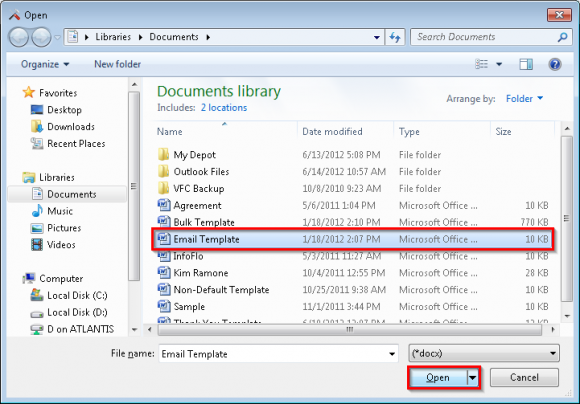 Your email templates have been added successfully.